They say bartenders can tell a lot about you from the drink you order. In the case of Artesian's new menu, the drinker can probably work it out for themselves. The latest coterie of cocktails from the multiple-times 'best bar in the world' stirs up 'important' moments from your life; from being born, to wistfully thumbing through the old memory bank hours before it conks out for good. Our partner chooses the sweet duo of You Fell in Love (sour mash, rose, pomegranate), followed by You Had Your First Kid — which we both agree, tastes like the kind of over-sweet elderflowery fizz you'd fudge together for that one person at your BBQ who doesn't do wine or beer. We go for You Turned 30 (Glenfiddich swirled into sweet wines) and Looking Back (aka the death bed drink — which has earthy hints of pine and Islay scotch). Take away the arty names and swish menu illustrations from Tatiana Blinova, and you've got two very good grown-up sipping cocktails — exactly what we were after. 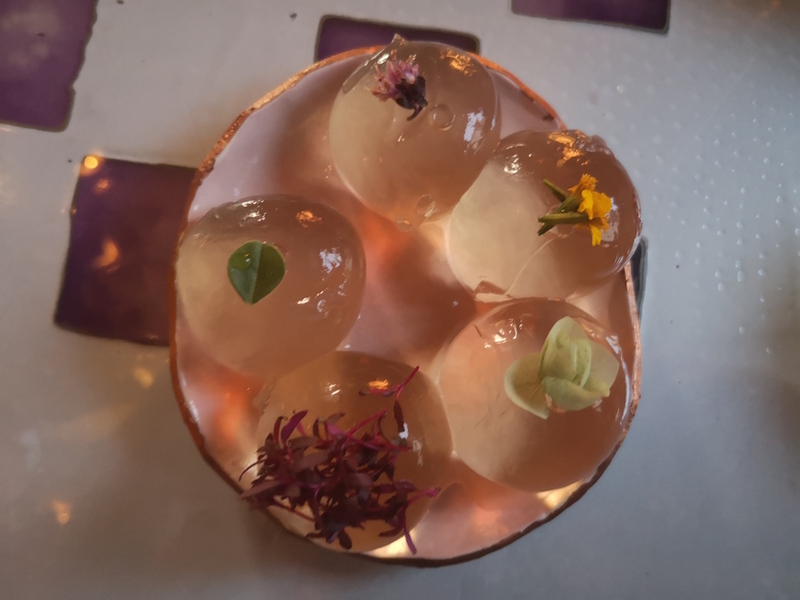 And then, just as we're about to call it an evening, we're served up the menu's introductory cocktail, It All Began — an egregious-looking platter of jellied-alien eggs. While our partner admits she rather likes the way these globules burst forth with apricot, jasmine and vanilla, we can't get over the residual embryo and bitter herbs left on the tongue. 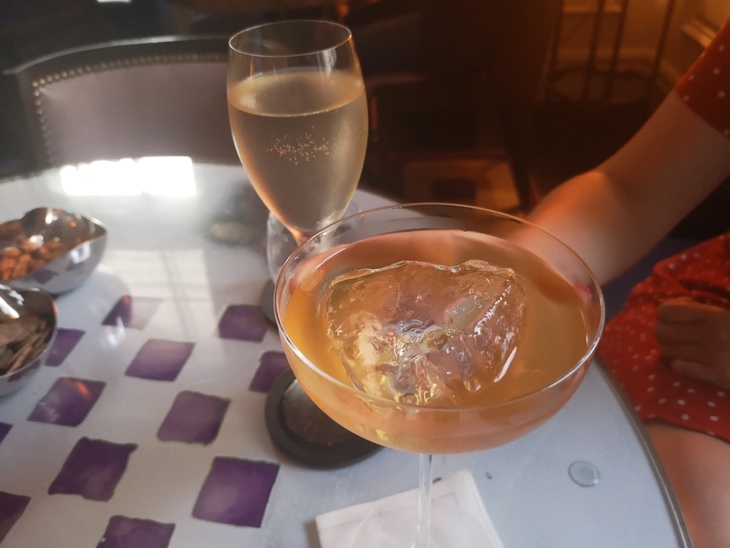 There is something for everyone on this menu (we can actually see punters coming to Artesian just to order specific drinks for specific celebrations). But as the old knight from Indiana Jones said, you must choose, but choose wisely.